As strong as liquid glue with the speed of a glue stick. 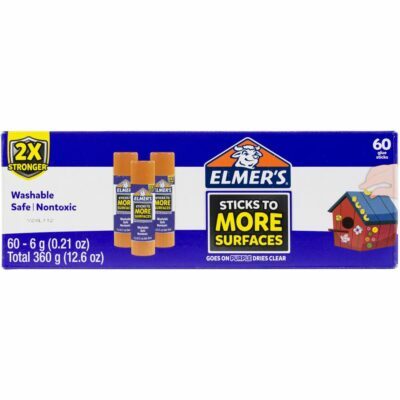 The extra strength glue sticks are two times stronger than current school glue sticks. They work on wood, ceramics, macaroni, glitter, and felt. Quick dry time.